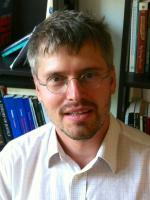 Jan Rovny joined Sciences Po in September 2013 as an assistant professor, affiliated with the Interdisciplinary Research Centre for the Evaluation of Public Policies (LIEPP) and the Centre d'études européennes (CEE). After studies in Canada and Belgium, he received a PhD in Political Science from the University of North Carolina at Chapel Hill, United States. In the past he taught in Belgium, the United States, the Czech Republic, Germany and Sweden. His research concentrates on political competition in Europe with the aim of uncovering the ideological conflict lines in different countries. His projects address the interplay between political issue dimensionality, party strategies and voter responses. One research area examines the dimensional structure of public opinion and the associated party strategies across Europe. Another area focuses on party competition in Central and Eastern Europe, and seeks to explain the variance in party competition and voting patterns across the ex-communist block. A final research area focuses on new developments in welfare policies in Europe and how these affect individual political preferences and voting behavior.